Per Hartmann (b. 1945) first studied music in his native Norway, including violin with Leif Wolfberg in Oslo, and subsequently at the Akademie für Musik und darstellende Kunst in Vienna: composition with Otto Siegl and Alfred Uhl, piano with Luna Alcalay and viola d'amore with Karl Stumpf. He also studied composition privately with Luigi Nono in Venice. He has a degree in Mathematics and Computer Science from the UK's Open University. 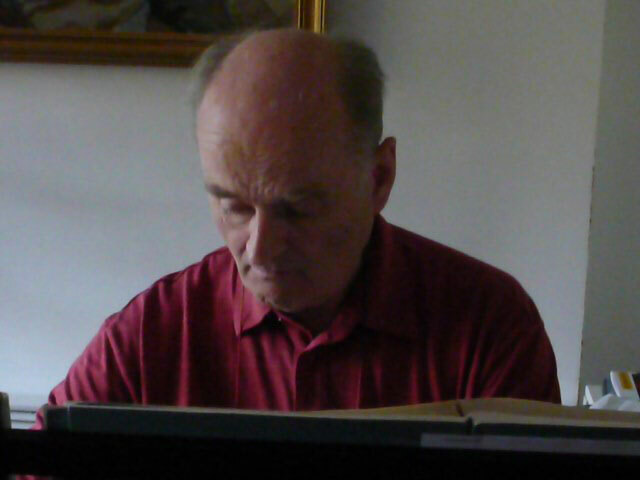 After completing his musical studies, Per taught music theory at several universities, and in the late 1960s formed and conducted an ensemble dedicated to the performance of 20th-century music. Settling in the UK in 1971, he co-founded Synthesizer Music Services in London, was involved with the design of the first microprocessor-based polyphonic synthesizer (1975), and gave numerous concerts as a performing member of the multi-media group Hydra. His compositions include solo, chamber and orchestral works with and without electronics, as well as several works for tape alone. In 1996 Per established the music publishing company Edition HH, whose eclectic and ever-expanding catalogue embraces contemporary scores and scholarly performing editions of rarer items in the musical repertoire, from the Renaissance to the Romatic periods.